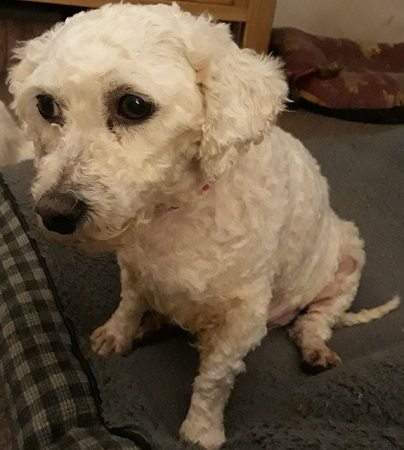 Charley is a 4 year old female Bichon Frise. Charley has come to us to find her forever home now that she is no longer required for breeding. She is, as you would expect, very nervous and unsure of anything at the moment. 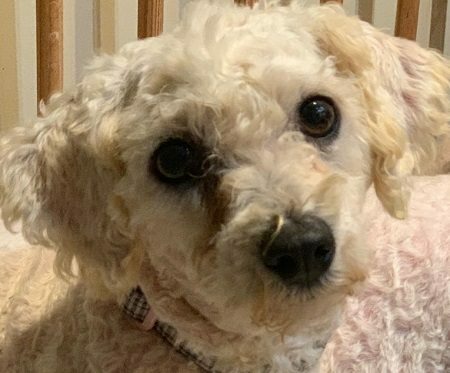 Charley knows nothing of life in the home so everything is really frightening for her, it will take time, patience and dedication from her new owners to help her become the dog she should be. 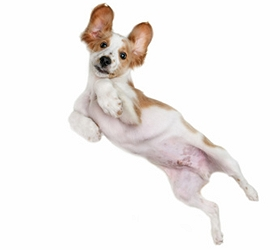 She has never been on lead, seen a television, washing machine or a dog bed, all of the things that our much loved pets grow knowing and enjoying, are not pleasurable to Charley at the moment. She will learn from the other dogs and that is why she must be re homed with at least one other similar sized confident, resident dog. 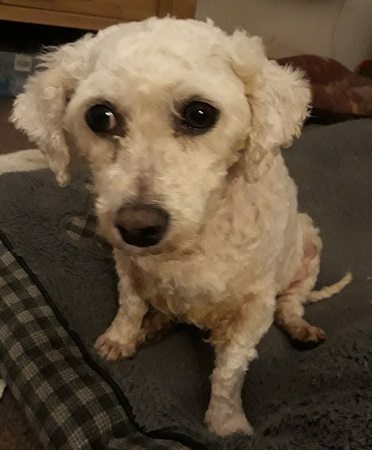 She will need new owners who are around for most of the day and who will have the patience to help her settle, the understanding to allay her fears and the compassion not to judge when she sometimes gets things wrong. In return for your time and patience Charley will reward you with her total devotion and trust. Due to her nervous nature Charley cannot be re homed with young children, it would be far to stressful for her. Visiting grandchildren would be fine provided that Charley had a space to retreat to if she felt overwhelmed. Older young adults who understand that she will take time to trust, and who can allow her space to come to them would be fine. We do not know what Charley is like with cats but suspect she will take little notice of them. A secure garden is a must when taking on an ex breeding dog. Charley has been neutered, vaccinated and micro chipped and is currently being fostered in TN28 Kent.